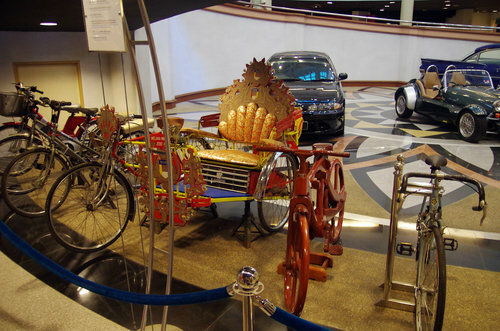 If you take interest in museums having rare collections, artwork, show crafts & exhibits that provide rich reflections of history and culture from all over the world, then you will love to visit Galeria Perdana. It is a museum created to showcase all the gifts, souvenirs and awards received by the fourth and the longest serving Prime Minister of Malaysia Tun Dr. Mahathir bin Mohamad (who was fondly known as Dr. M) and his wife Tun Dr. Siti Hasmah bt. Mohd. Ali. All the gifts and souvenirs were given by delegates, statesmen and leaders from all over the world, Malaysians as well as guests and friends of the family during Tun's tenure of service as the Prime Minister. Tun deeply felt that all such gifts & souvenirs which he received being the representative head of the country, are public properties and should be made accessible to the public. He therefore mooted the idea of creating a grand museum to showcase the collection. It was also a way to show his appreciation and gratitude to all the generous donors. Galeria Perdana was established in 1995 at Kilim Village area in North East of Langkawi. It comprises of three interconnected two-storey buildings in a sprawling campus. The whole area spreads across some 5.3 sq.km with specially landscaped gardens having many local trees, shrubs and herbs. The exhibits inside the museum are diverse in nature showcasing artistic, cultural and aesthetic dimensions from all over the world. There are over 9,000 exhibits. However only 2,000 are displayed at a time and in rotation so that every time you visit the Perdana Gallery, you are likely to see a different set of collection. As you walk into the main building, there is a reception counter in front and a ticket counter on the left. Once you buy the ticket, you can enter the gallery from one side of the reception. 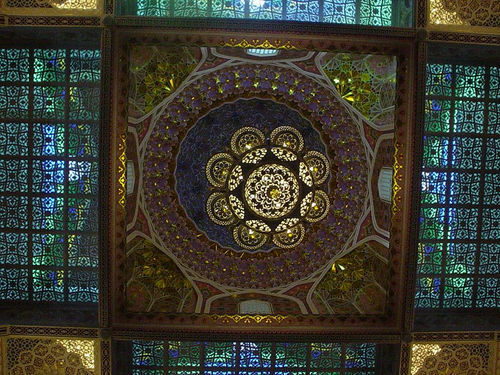 In the main gallery the view of the ceiling of the dome from inside with its intricate artwork and hanging chandeliers is simply awesome. There are footnotes and tags below the exhibits that describe each item, about its donor, background, date etc. Budget about 2 hours if you plan to go through all the exhibits. This is the first section where beautiful souvenir and gift items made of wood, lacquer, crystal and glass are displayed. The section also includes other items like musical instruments and beautiful gemstone collections. Other items showcased here includes luxurious textile, intricately designed porcelain products, and Islamic artwork & paintings, weaponry, plaques etc. Islam is the official religion of Malaysia and hence the Prime Minister received many gifts that were Islamic in nature. This section showcases all the gifts received by the wife of former Prime Minister. She received lots of finely crafted items from members of the public as well as from the heads of states. In the ground floor of this section, you will see exquisite items made of silver, bronze, copper and pewter. This is the newest and the last block of Perdana Gallery. Here you will see jewelry items, rare original paintings and many other gifts received by the former Prime Minister. A section here on the ground floor (near the exit) showcases his collection of cars and bicycles. The highlights includes a Formula-I car and a bicycle made of wood. At the entrance of the new block you will also find a creative sculpture titled "Window of Opportunity". This 3-meter tall stone sculptor was created by the well known sculptor Gerald Takawira of Zimbabwe. The sculpture stands on five pillars with an open window concept. It signifies Tun Dr. Mahathir's vision on Malaysia. Each pillar represents a key element of Malaysia's infrastructure and development strategy. The sculptor Gerald has had several successful exhibitions in Europe and known for his work using Leopard Stone which is the hardest stone in the world. Galeria Perdana has a reading room with a vast collection of reading and reference materials. There is also an outdoor greenhouse with variety of plants. The vast stretch of area around the buildings with landscaped gardens is itself a place to be enjoyed. You can just take a relaxed stroll around the campus along the paved pathway and enjoy the greenery. There is a large parking space on the right side of the premises. 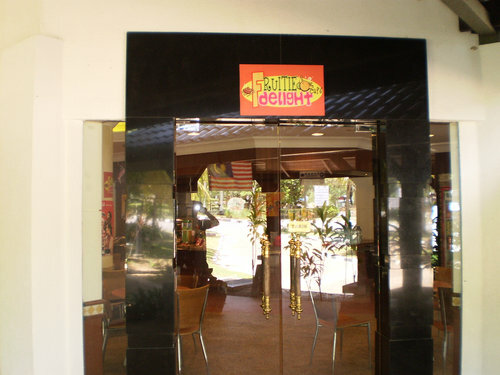 Just after the exit from the last block, there is a nice cafe (called Fruitie Delight Cafe) selling snacks and beverages. There is also a prayer room. Once you come out of the exit of the last block, there are nice & clean restroom facilities. For some reason we have never found many visitors in Galeria Perdana. It therefore offers you a nice tranquil and noise free environment of exploring the collections... a great idea particularly on a rainy day. 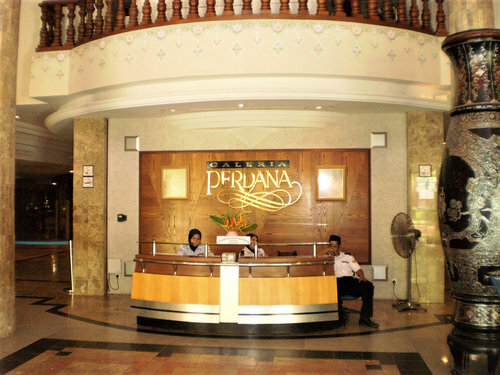 Galeria Perdana is located in Kilim, 11kms from Kuah Town. 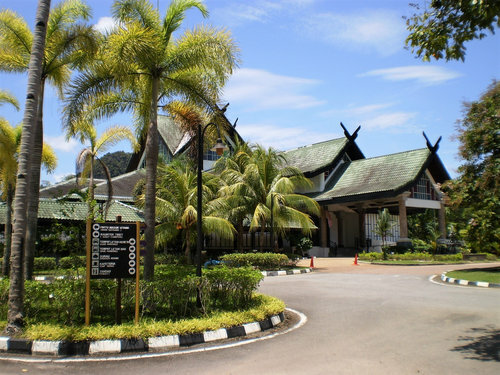 4) Langkawi Attractions: All the top tourist attractions in the island.